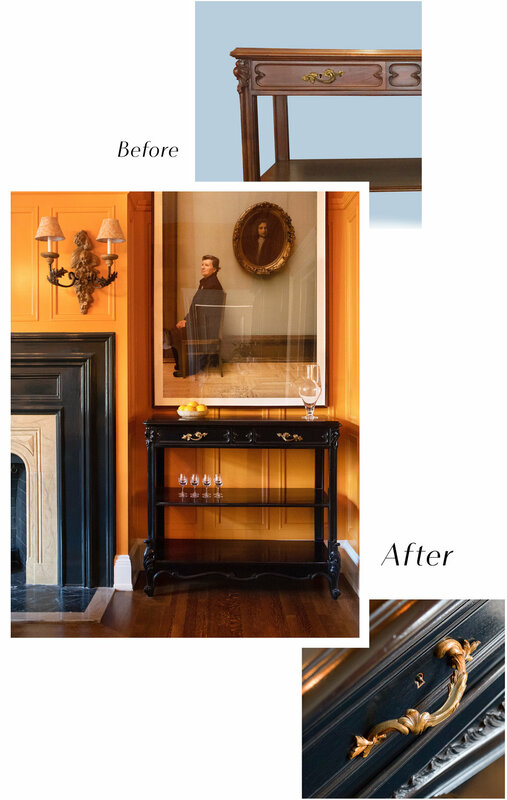 From bar carts to mid-century modern credenzas, Revitaliste will refinish or restore your piece of storage. 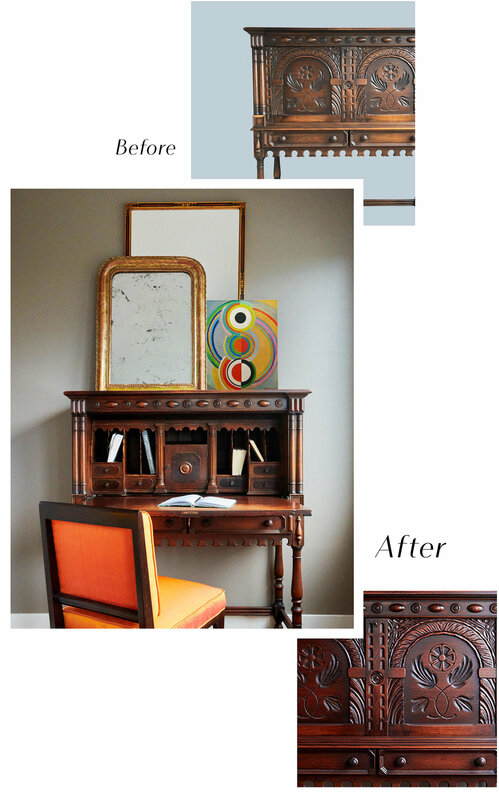 See below for some of our revitalized storage projects. Lacquered in a custom yellow semi-gloss. Beveled edges, legs and drawer pulls walnut stain. Shelves upholstered in Katie Ridder "Attendants," drawers lined with a white hair-on cowhide. Click below to read about the full revitalization. Wood refinished with black ebonized finish. Brass pulls polished. Cracked veneer on table top replaced. Body lacquered in custom blue with semi gloss sheen, interior lacquered black. Inlaid faux shagreen in recessed panels of bar top. Added brass campaign hardware. Lacquered in custom red with semi gloss sheen. Fully restored to original condition. Click below to read about the full revitalization.